How a Good Samaritan’s act of kindness helped turn his life around. Yesenia never thought she’d see the money again. Dropping off her taxes in San Diego, California, Yesenia had a cashier’s check for $676.00 in hand—and then it flew away, caught in the wind. She returned home in tears. But later that night, she heard a knock at her door. When she answered, there was Sergio, holding her check. 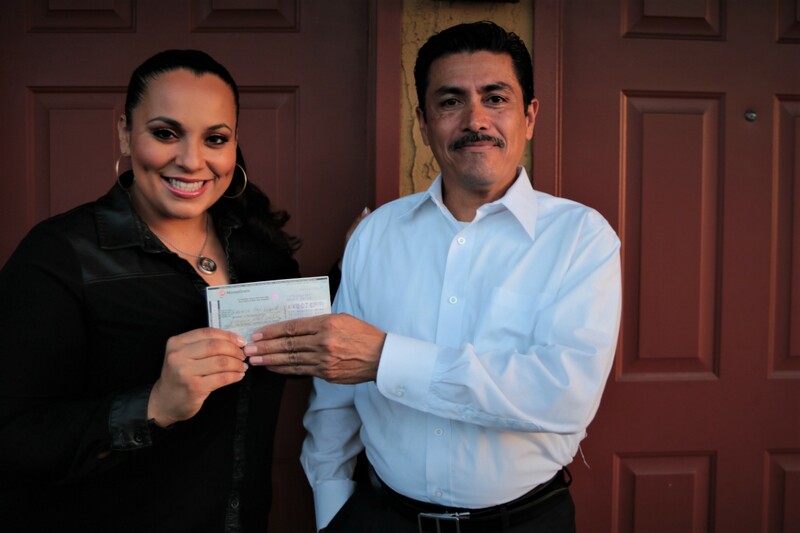 Yesenia was amazed at the trouble Sergio took to return the check in person—but that amazement deepened into something more when she realized that this Good Samaritan was homeless and unemployed, living with his family in a motel. That’s when Yesenia decided to pay it forward. She started a GoFundMe for Sergio, and the response has been incredible: more than $16,000 has been donated to help this selfless man and his family get back on their feet.